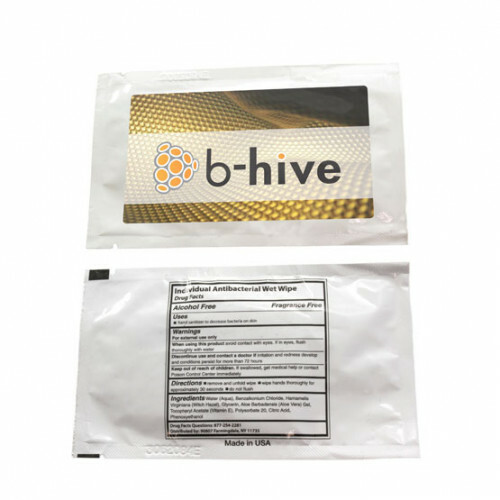 Keep it fresh with custom hand sanitizer wipes! Perfect for traveling and everyday use, these individual antibacterial promotional hand sanitizer wipes are alcohol and fragrance free for use any time, anywhere you go. 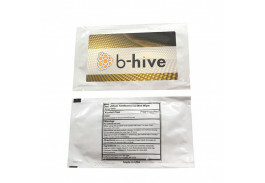 The individual pouch makes them a breeze to use, and keeps the wipe sanitary until you are ready to use it. Just throw a handful in a bag, purse or the glove compartment and they are ready to use when you need them most. Made in the USA, directions for use and ingredients are listed on the back of the pouch. Personalized hand sanitizer is perfect for customer gifts, health clinics and promotional events, and is an easy and affordable way to get your name out. Customers will appreciate such a useful gift in a size they can take anywhere. Price includes a Full Color Process Decal.